Try for a home run with our baseball game rental! Players setup on the teeball stand and swing away at the backdrop. Add your own prize structure to make it even more fun! 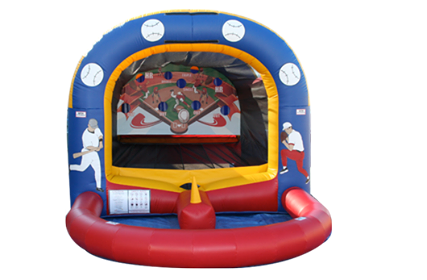 Our baseball game rental is sure to bring out the allstars at your next event! We provide clean, on-time interactive game rentals for our customers. Looking for the best in interactive rentals? Let us help make your next event the BEST EVENT EVER! Pair with another sports game to make your event a sucess.